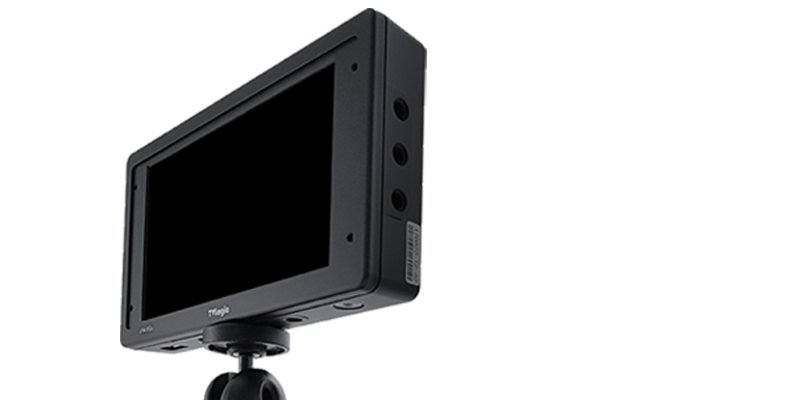 A lightweight magnesium alloy case houses a 5.6" 1280x800 LED backlit LCD display with a full complement of features, including DSLR scale, focus assist, various scan modes, markers, audio level metering with speaker, time code display, HDMI loop out via HD-SDI(720p), Waveform/Vectorscope, Y Level Check and Range Error Check. The first offering from small HD still performs well in the field. Even with a 5.6 inch screen, the DP6 delivers 1280x800 resolution, making it the smallest HD monitor available. 5.5" OLED on-camera viewfinder monitor with native 1920x1080 resolution. It offers truly cinematic image quality with deep blacks, wide-gamut color reproduction, a very wide viewing angle and support for multiple video formats. Also features cinema camera log-to-linear LUT conversion and HDMI-SDI cross-converted output options. 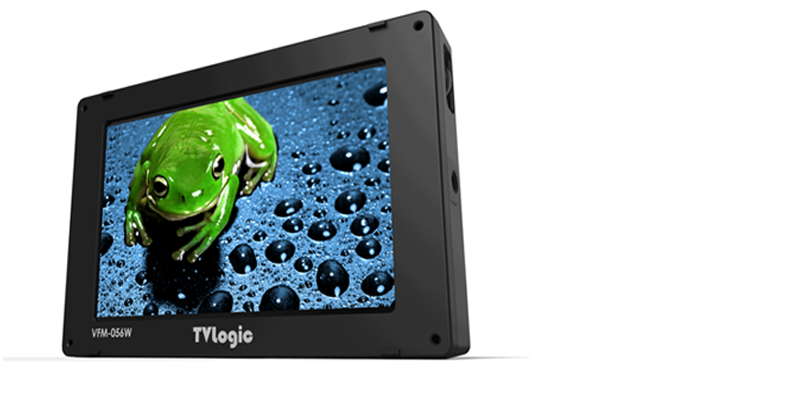 5" OLED Monitor with touch functionality and integrated H.264 recorder. This monitor will support camera control via touch interface. 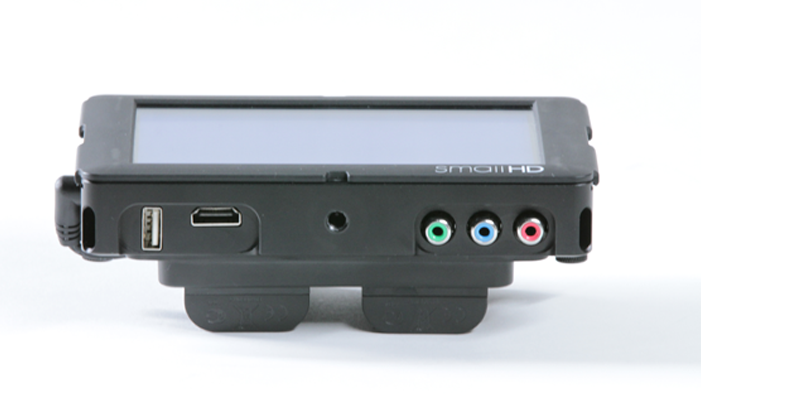 This is a special version of the StarliteHD5 monitor which provides extra communication pins on the power connector to control the Alexa Mini and Amira via the touch interface. The Director's Monitor Cage allows attachment of any small monitor with top, bottom or side mounted ¼-20 screws. Top and bottom raise and lower to fit cage properly. Foam grips for secure, comfortable holding. Battery mounting bracket for attachment of Gold Mount plates, wireless receivers and additional accessories. Included offset adapters allows attachment of Monitor Cage to C-stands. The Cage v2 is engineered to be universally compatible with any monitor up to 9 inches (measured diagonally) and attaches via top, bottom, or rear ¼-20 mounting locations. The tool-less design of the handles allow them to be folded in for easy packing and the sun shade can be repurposed to act as a protective cover.